Infiniti Australia has announced pricing details and local specifications for the new Infiniti Q50 mid-size premium sedan. It becomes the company’s new entry-level model. 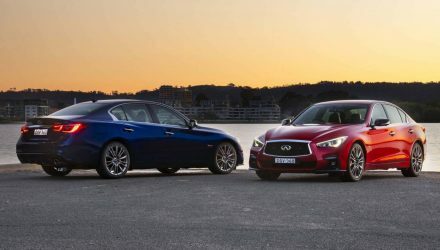 The Q50 is stepping into a very competitive and serious market sector, with popular rivals such as the BMW 3 Series and Mercedes-Benz C-Class already dominating sales, along with the Audi A4 and perhaps more directly the Lexus IS sedan. 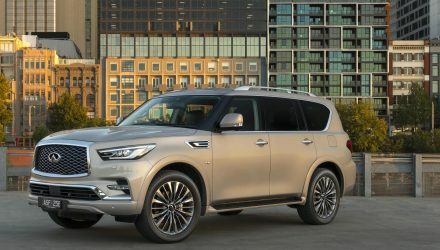 For Australia, the showroom will be filled with three different variant levels with two different powertrain options, including a turbo-diesel and a hybrid. 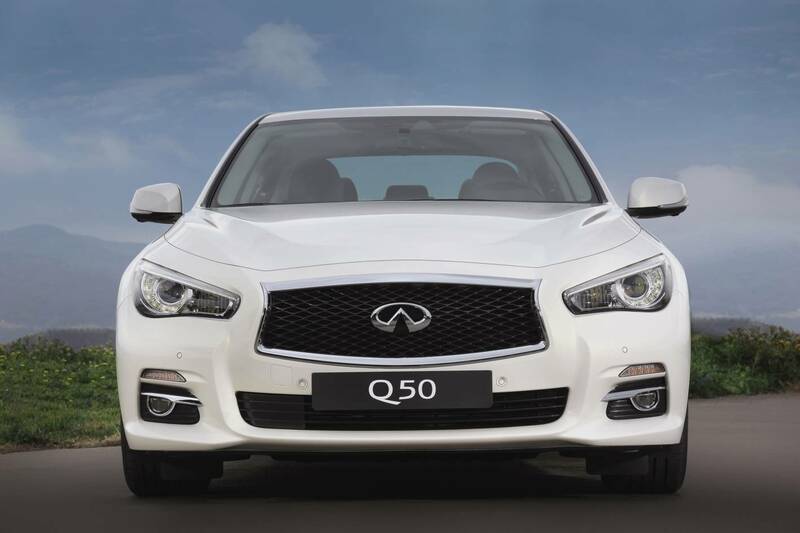 The entry-level model, the Q50 GT, comes with a 2.2-litre turbo-diesel four-cylinder producing 125kW of power and 400Nm of torque. 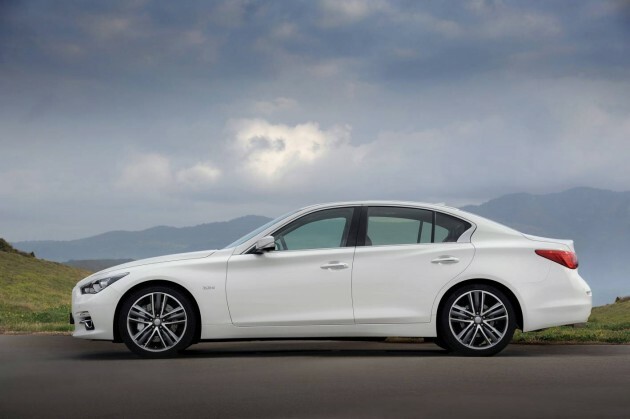 It’s backed up by a seven-speed automatic transmission with rear-wheel drive. Performance figures haven’t been mentioned for acceleration, but being a diesel, fuel economy is its key focus. It offers an average consumption rate of 5.2/100km. Standard features for the GT include 17-inch alloy wheels, InTouch multimedia support with dual touch-screens, LED headlights, advanced climate control, a four-mode driving toggle (standard, snow, sport, personal), tyre pressuring monitoring, digital radio, and a leather upholstery. 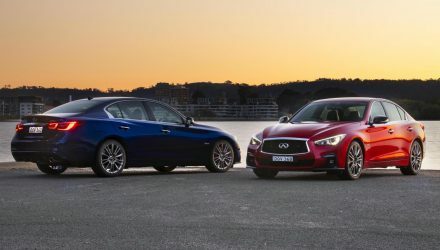 Stepping up to the Q50 S, it can be powered by either the diesel as mentioned above or a 3.5-litre naturally aspirated V6 petrol engine combined with an electric hybrid system. The combined output of the hybrid is 268kW and 546Nm. Using a seven-speed automatic transmission with rear-wheel drive, acceleration from 0-100km/h comes up in a dashing 5.1 seconds with the hybrid. Despite the excellent performance fuel economy is also very good, with an average of just 6.8L/100km. 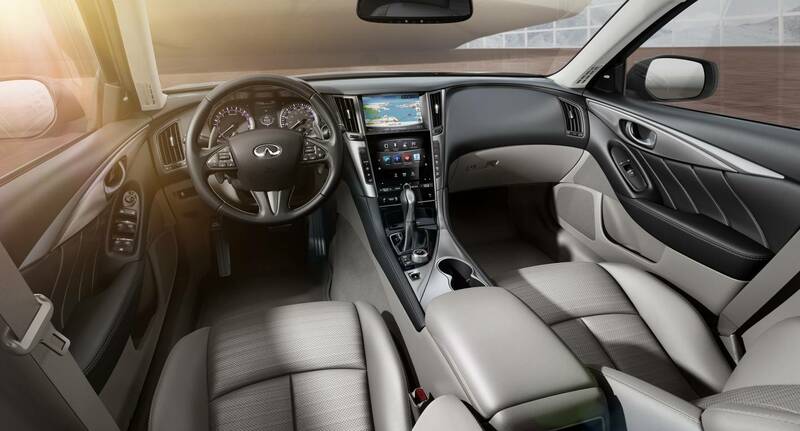 Standard features for the S, on top of anything offered in the GT, include 19-inch alloy wheels (18s for the 2.2d), direct-adaptive steering with active lane control, sports suspension, performance brakes, paddle shifters, a sunroof, and a BOSE 14-speaker premium stereo. 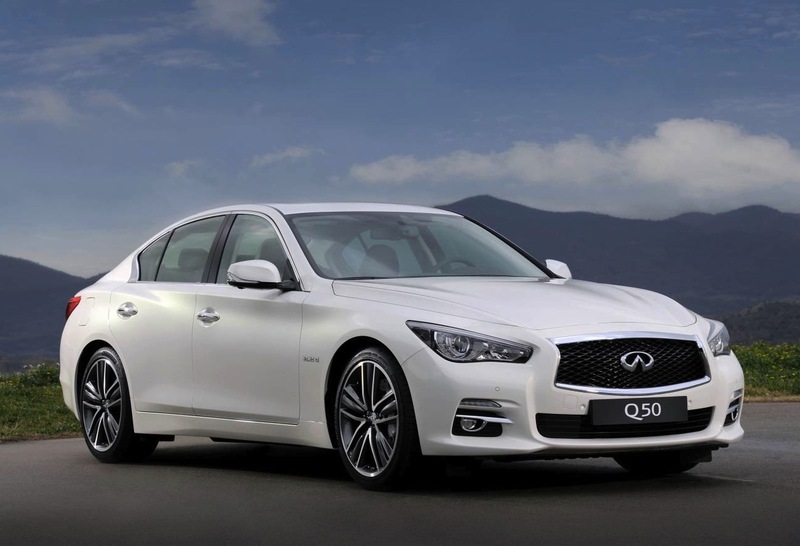 Sitting at the top of the range is the Q50 S Premium. 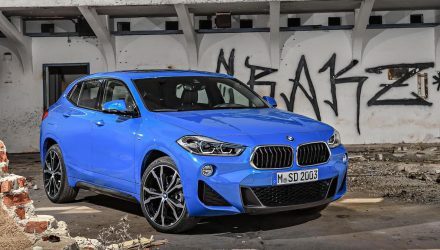 It’s offered with either the diesel or hybrid as in the S, only it comes with all-wheel drive which does hinder fuel economy slightly (7.2L/100km for the hybrid). 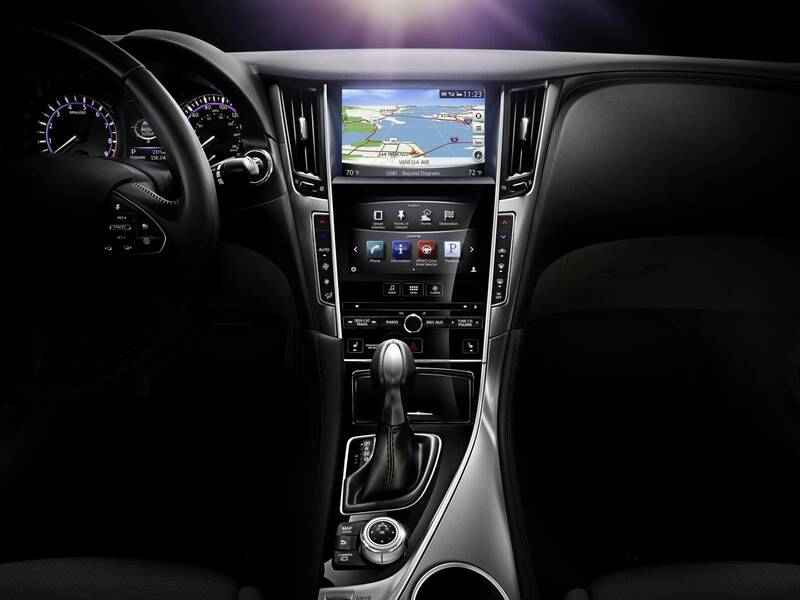 It also comes with adaptive cruise control with distance control, forward collision avoidance, lane departure prevention, active headlights, around-view monitor, and back-up collision prevention. The new model will officially go on sale in February. It will be interesting to see how it does against the competitors, and by the looks of it, the impressive list of standard features should bode well.